Hello crafters! 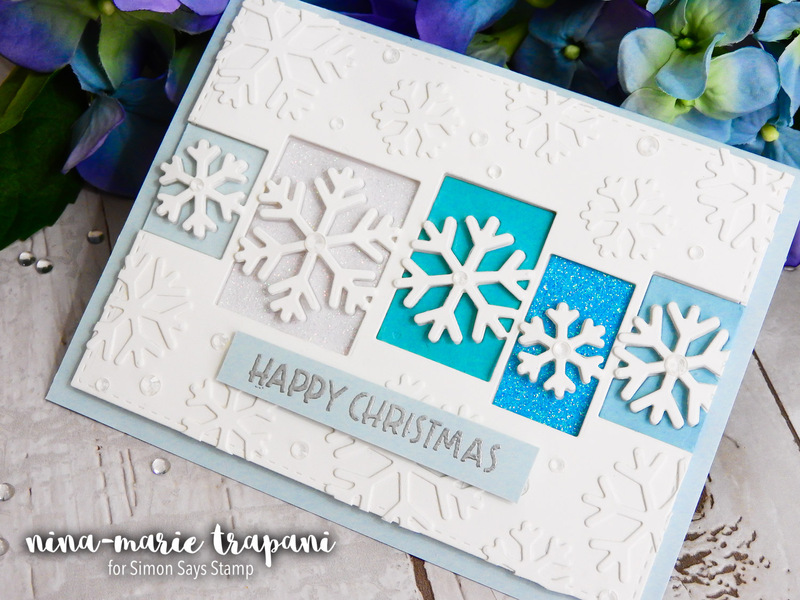 Welcome to my stop of the Simon Says Stamp DieCember release blog hop! Today is day 2 of the DieCember release festivities and we’ve got lots of inspiration to share with you. 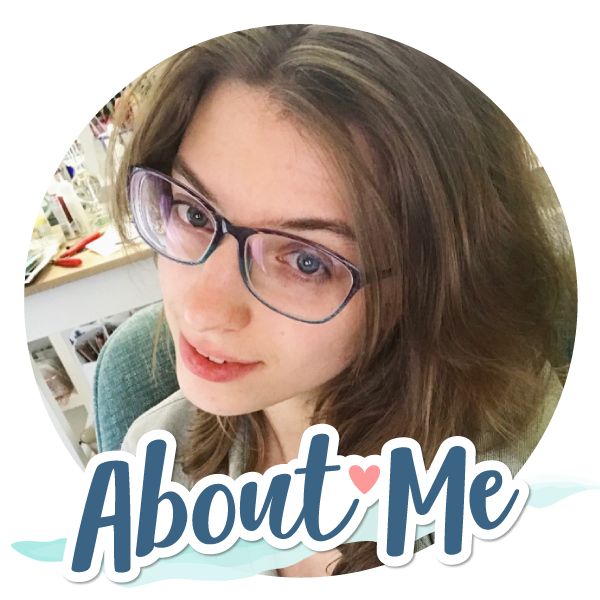 If you have already been hopping along with us, you should have arrived from the talented Nichol Spohr’s blog. 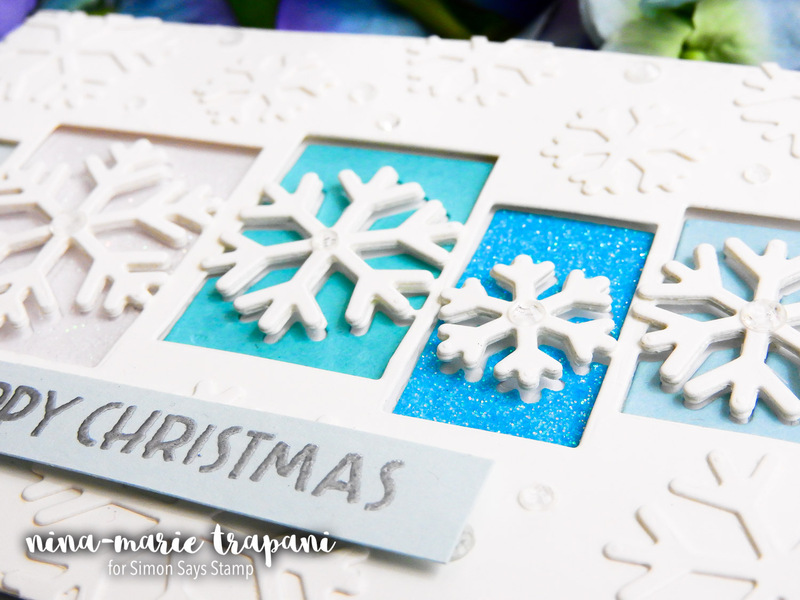 Today I am using the new Sensational Snowflakes and Sensational Snowflake Collage dies. Both of these are so much fun and work perfectly together! I also put some of the new glitter paper behind my snowflake collage, which adds tons of gorgeous sparkle and shine to the card. 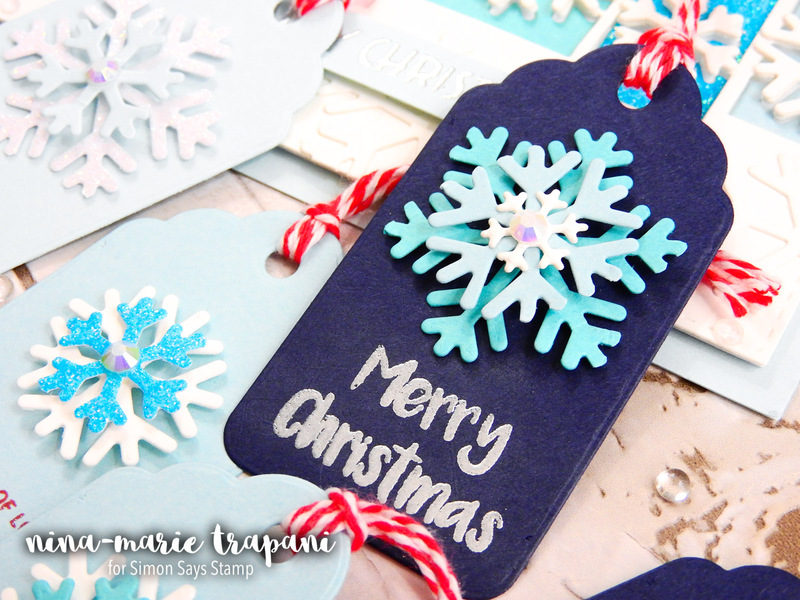 Another fun way to use the Sensational Snowflake die set is to cut the snowflakes out and use them to create texture. On this card I adhered a whole bunch of the snowflakes onto the background surrounding the Sensational Snowflake Collage. I made sure to use the same cardstock as the Collage die cut for the tone-on-tone texture style. After creating this card, I had a bunch of leftover die cut pieces. At first I was just going to toss them, but then I had the idea of using them to make mini gift tags! 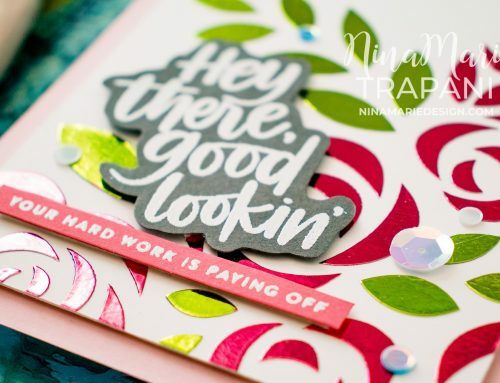 Simon recently released a set of gorgeous new dies called Fanciful Tags; I used the largest die to create the tags in a couple cardstock colors. Also recently released was the Handmade Christmas stamp set that I designed for Simon’s Limited Edition tag kit. There are lots of holiday sentiments in the stamp set that are designed specifically for tags. I used a few of them on each of the tags. 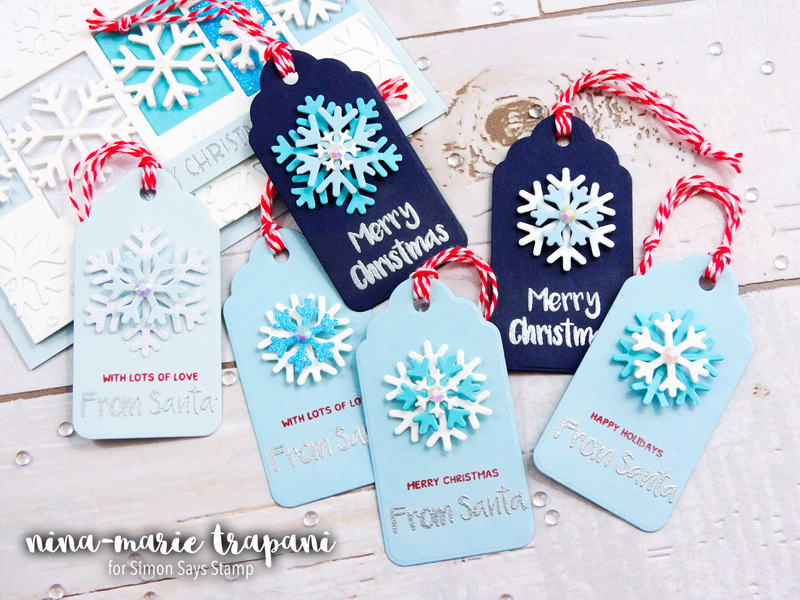 I hope you will be checking out the video below to see how I created both the card and the tag set! 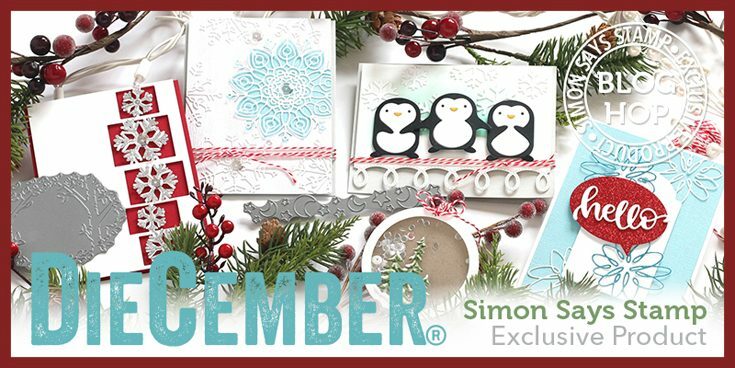 Also keep reading for more details on the Simon Says Stamp DieCember release blog hop! Simon is generously giving away a $25 coupon to every stop on the hop, randomly selected from each blog comment section. Winners will be chosen and posted on the Simon Says Stamp store blog, Wednesday, December 6th. Thanks for hopping along with us today! Your layered snowflakes are so pretty! 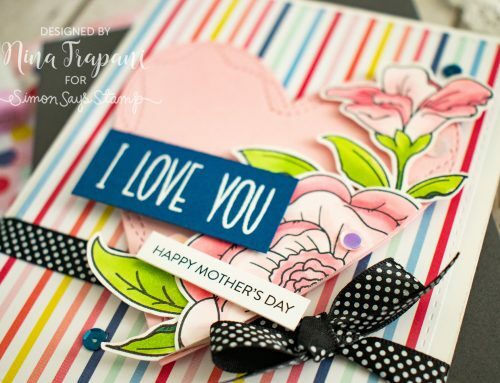 I love the layering on your card – so classy!! Happy Die-cember! I always enjoy your creations, Nina-Marie! Today’s are no exception! Gorgeous card and tags! 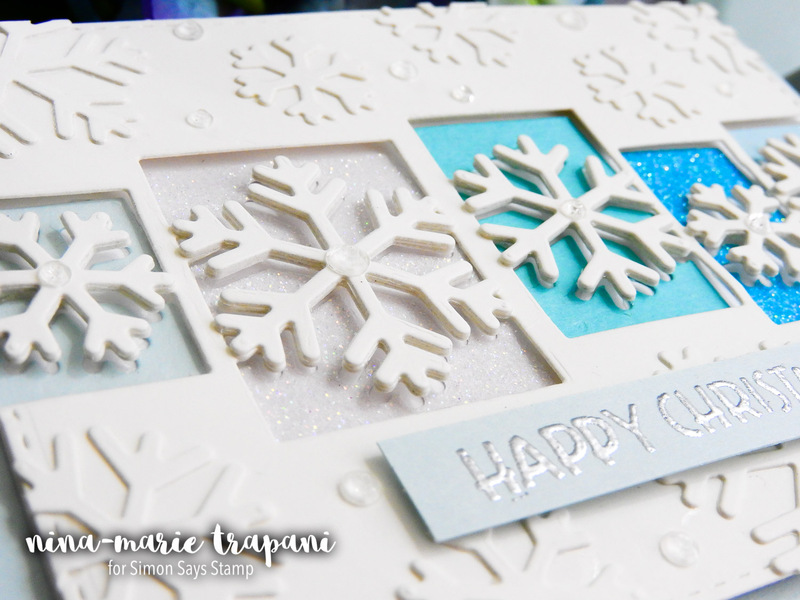 Snowflakes are one of my favourite things to include on my cards! LOVE these new dies! Three blogs into the hop, and I’m running out of superlatives for all these cards. I just love snowflakes and the things you all are doing with them are delightful! The teals and blues look just like the costumes of the snow dancers from a production of The Nutcracker I saw this past weekend, so now I have that music going through my head (which I’m fine with, btw). 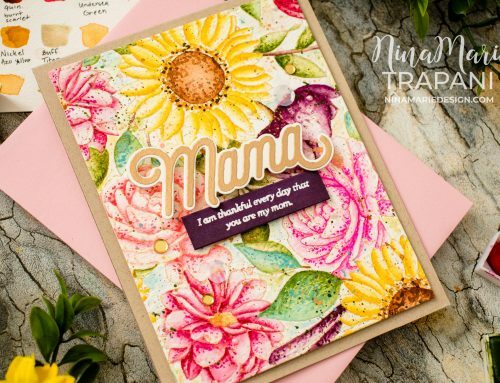 Thanks for sharing such great card and tag designs with us! I love the blues!!!! Great card! My favorite are the tags; so simple yet so stylish. How clever and soooo elegant. it’s so much fun to use up left overs. Very very cute cards and I adore the tags! Lovely card and tags! Love how you used the glitter paper! Always love your cards, and these are just sparkly spectacular! thanks for sharing! I love the dimension on this beautiful card! The cards are gorgeous but I totally love those super-cute tiny tags! Thanks for the inspiration! Anyone who knows me would send a card just like this one. It is beautiful, and the tags are really cute too. gotta try that layering die idea!!! thanks! Absolutely lovely tags, and I like the colours you used to emboss the sentiments. wow.. those snowflakes are so pretty! It’s the cute little tags that got me to stop and check it out. Thanks for sharing! Great Ideas for left overs! Love the tags! What a great idea, loving the snowflakes! Fabulous card and tags. Thanks for sharing.